Tired of your groceries rolling around in the back of your 4Runner? 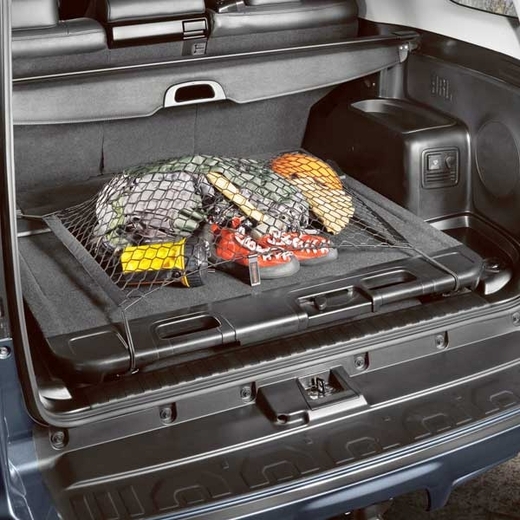 Well, this Genuine Toyota "Spider Web" style cargo net is the perfect solution and is engineered specifically for your 2014 Toyota Trail Premium Edition 4x4. The web-style netting accommodates a wide array of various shaped items to ensure they don�t shift around or tip over. Constructed from black nylon webbing which is stain resistant to maintain a �like-new� appearance. 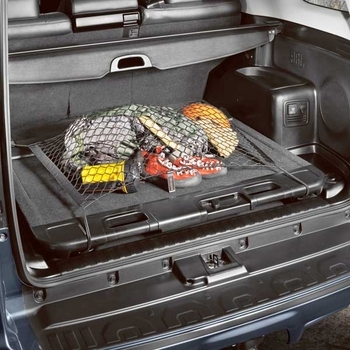 It attaches easily to the D-ring anchors in the rear cargo area of your 4Runner and folds flat for storage when not in use.